These presentation slides 44914 are complete compatible with Google Slides. Simple download PPTX and open the template in Google Slides. 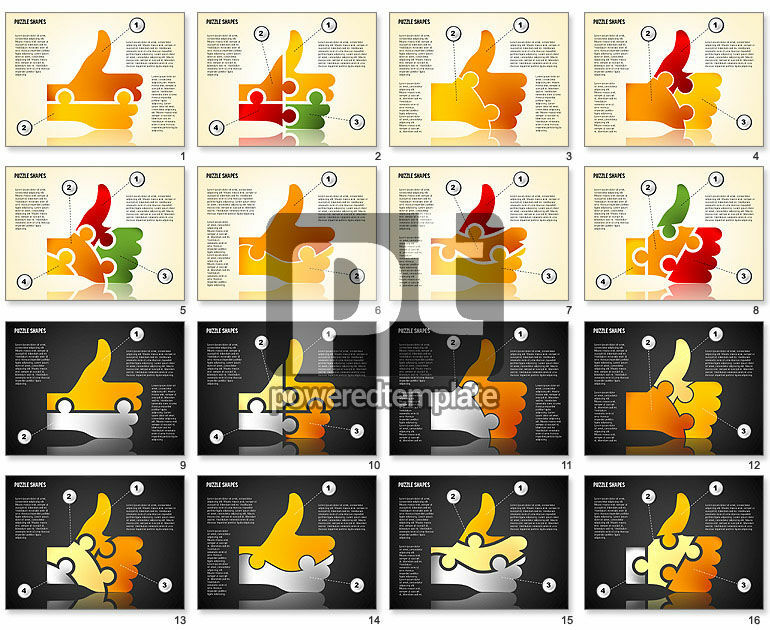 Feel free to choose this outstanding bright template with great positive colorful puzzles. There are various hands with their thumbs up designed from the puzzle details. Also this set has two variants of the background and a pleasant and warm color palette. You may use this inspiring theme for presentations on management, finance, success stories or other – it will look terrific at any issue.